Richard Wallace was born in London on 21 June 1818, the illegitimate son of Richard Seymour Conway, Viscount Beauchamp, later fourth marquess of Hertford and was given the surname Jackson. He spent his first six years in London after which his mother left him with in Paris his father and grandmother Maria Seymour-Conway, marchioness of Hertford and Lady Hertford’s illegitimate, son, Lord Henry Seymour. His grandmother brought up Richard with the eccentric Lord Henry as a companion. In April 1842, a month after his father’s succession as fourth marquess of Hertford, Richard had himself baptized in the Anglican church, taking the surname Wallace (his mother’s maiden name). When Lord Hertford began his collection of works of art, Wallace was employed as his secretary with an annual allowance. Following the death of the dowager marchioness in 1856, Lord Hertford, withdrew from society. When Lord Hertford died in August 1870, Wallace succeeded to his father’s collections and to his properties in Paris (2 rue Laffitte and the chateau of Bagatelle in the Bois-de-Boulogne), London and Ireland (the Lisburn estates). During the Prussian siege of Paris in 1870/71 he gave £12,000 towards the cost of a field ambulance, he chaired a British charitable fund, and he donated £4000 to start a subscription for victims of the shelling. On 15 February Wallace married Amelie-Julie. From March to May of 1871, during the uprising of the Paris commune Wallace kept his Paris collections boarded up in the rue Laffitte. 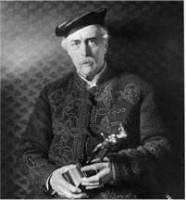 When peace returned he was rewarded for his philanthropy; he was made a member of the Legion d’honneur and, in August 1871, received a baronetcy from Queen Victoria. 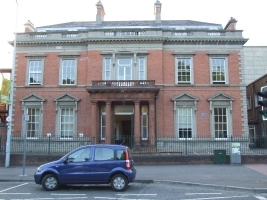 Wallace’s bought a country residence, Sudbourne Hall in Suffolk, from the fifth marquess of Hertford, and, after some litigation, established his right to the Hertford Irish estates in Lisburn. 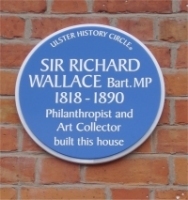 He was a conscientious Conservative MP for that constituency from 1873 to 1885; he gave the town a public park, known as Wallace Park, and built Castle House as his Lisburn residence. 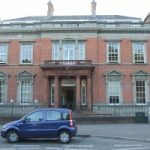 He was a commissioner for the Paris Exhibition of 1878, and was made KCB the same year; he was a trustee of both the National Portrait Gallery and the National Gallery and a generous lender to special exhibitions. Wallace spent an increasing amount of time alone at Bagatelle, where he died on 20 July 1890. He was buried in the Hertford family vault in the cemetery of Pere Lachaise, beneath the body of his great friend Lord Henry Seymour. Wallace left all his estate to Lady Wallace. 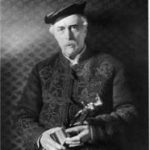 On her death in 1897 she bequeathed the contents to the nation as the Wallace Collection and, in the event, Hertford House itself became the museum.